New methods for producing color holographic video are here, and they could lead to cheaper, higher res and more energy efficient TVs. 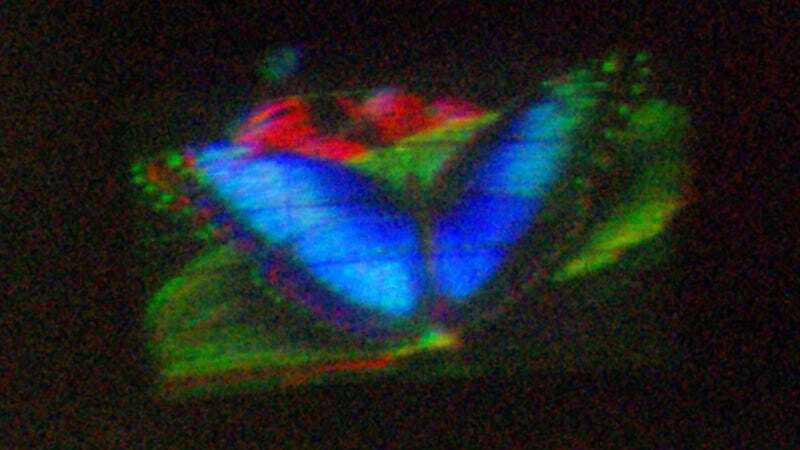 Daniel Smalley, a researcher at MIT, built a holographic display with about the same resolution as a standard-definition TV, which is able to depict motion because it updates its image 30 times a second. The display is run by an optical chip that Smalley made in his lab for about $10. To produce the hologram, Smalley and the other researchers on the project use a small crystal of lithium niobate. They create "waveguides" (channels that can confine and direct light) which each have a metal electrode to create an acoustic wave that bends and scales the light, which corresponds to one row of pixels on the display. When red, green and blue light go through the waveguides, some frequencies are filtered out while others go through and make it to the screen. What’s most exciting about [the new chip] is that it’s a waveguide-based platform, which is a major departure from every other type of spatial light modulator used for holographic video right now.